Yesterday was my son’s 7th birthday. It is also the day that average temperatures in Anchorage start to slowly climb back up again. I say average. In reality, I’m guessing we are still due a really cold spell, because we haven’t had one yet. Our lowest low so far has been about 10 below F, and that was back in November. December and January have been surprisingly mild, and it is only about 25 F/-4 C right now – toasty, really. The weather almanac predicts a cold snap in the second week of February, with a warmer than usual March, but with a cool spring and summer. Last year a cool, long spring was predicted, but instead the whole spring and summer was warm, sunny, and amazing. Who knows. I have also ordered an ungodly amount of vegetable and herb seeds, and I am nowhere near done with that. I will soon have an unruly indoor garden of starts. I am not that great with seed starting, and the ones that need special conditions often don’t sprout, so we’ll see how I do with some more esoteric things. Of course I have tried to concentrate on any perennials that should make it through the winter here, and good bee plants, plus things we like to eat. I have yet to order the few bushes and trees I think I still have room for – a couple of improved rowan (mtn ash) berries, a sweet cherry for near the house, some cold-hardy grapes, some more of the safer bets like raspberries, currants, gooseberries, etc. I have given up, for now, on the projector to watch movies on – winter seems to be psychologically nearing its end now, and I can save my money until next year, and get it before December when the long nights encourage massive video viewing. I am also holding off on lasik eye surgery – money flow has been mostly out lately, and I need to have good stores to make it through summer construction season, when I will be insulating the upper stories of the house. My mood is sunny and robust and future-oriented. But we have 3 months to go before real spring, so I’m sure there will be some dips in there. Unit 2 (the efficiency that my family of three first lived in when we moved in to the 4plex last year) is up for rent again. So far each of my apartments has turned over about once a year, in keeping with the 1 year lease I prefer. 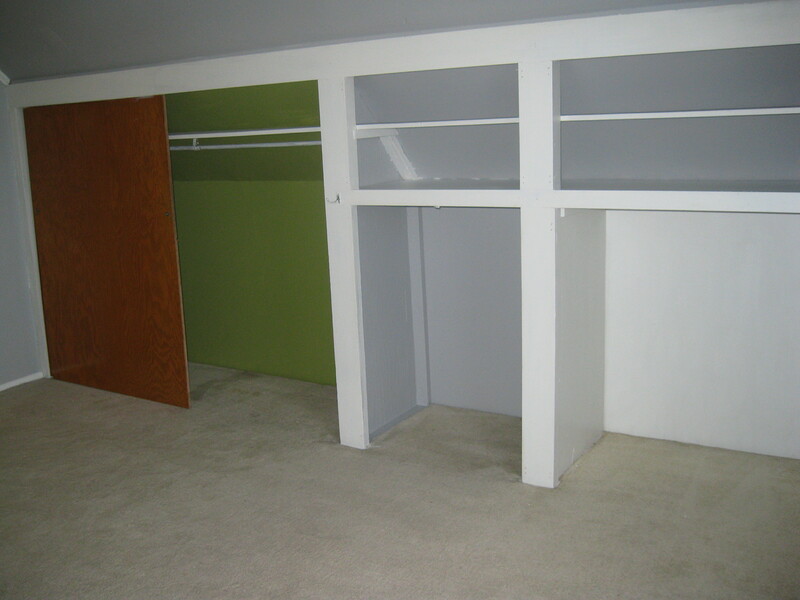 I haven’t, so far – knock wood, had any problem filling units, although the business of my life often means that I don’t get right on it, and I generally lose about a months rent each time, once I’ve advertised, shown the place, picked a tenant, and compromised with when they can move in/start paying rent. I need to get that down a bit, but so far I’ve got a months worth of rents figured in to my business expenses. The best thing I learned this time is that it is totally worth it to hire professional carpet cleaners with a truck-mounted steam clean unit. In the past I have rented a rug doctor for about $50. The water comes up plenty dirty, so I know I am doing some cleaning, but stains never come out. This time, the carpet was so bad I knew the rug doctor was not going to hack it. The local cleaners generally have about a $100 minimum charge, even though the efficiency only has 200 sq ft of carpet, which could be cleaned for about $50. I had them tack on the entry stairs to make the minimum worth it. I was amazed at how clean they got things! 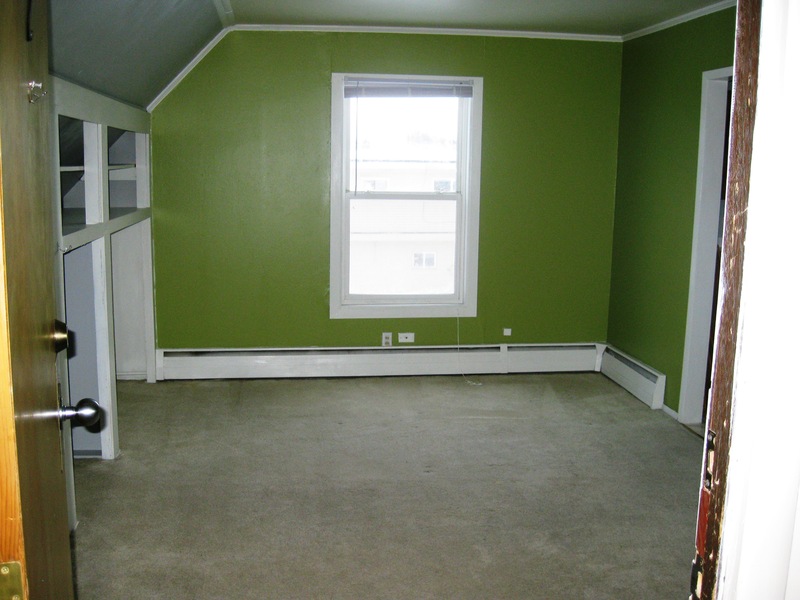 Not sure how green everything was – they used a citrus-y smelling solvent to get some paint out of the carpet, but nothing else smelled too strong, but the white carpet was again white with no visible stains and almost no trace of the formerly brown high-traffic lane. Even the filthy old entry hall stairs looked almost clean! I will certainly go this route again next time. Well, the moose have discovered the tasty new fruit trees I have planted. No moose entered the yard last winter (before any trees were planted), so I thought I might be safe. There is a lot of pavement and not very many trees on my street, so I thought that might be a general deterrent. The television station behind the ‘plex does have a rather large, woodsy area just behind my back fence though, and there was sign of moose back there last winter. I changed the fence over the summer to be a bit lower and made of see through wire instead of prison-like cedar boards. I’m much happier with it, but alas, at over 5 feet high, it is no match for the long legs of an adult moose. So far, nothing has been seriously munched down. Just the tips of the branches on some of the fruit trees. I’m actually thinking it may be a healthy pruning, since they are newly planted in cold soil and this may help them establish roots better before having to support too many leaves. I am a bit worried that the winter is yet young, and things could get worse. I have some nylon netting saved from the inside of the mattresses I recycled, so I should wrap that around some, and burlap bag the skinny ones. Of course, I am thankful for the pile of moose fertilizer they left me, and the fact that I have wild animals in my yard. The sterile grass patch I started with attracted no birds, few insects, no large animals save the occasional neighborhood dog or cat. I like making a space that everyone wants to live in. On a different track – today is the one year anniversary of my pipe freezing and bursting last winter – we had had a couple of weeks of -20F, the heat had been on the fritz in the basement, and I had not put a foam cover over the outside spigot. This year our winter has been embarrassingly mild, last evening things were melting it was so warm. I have caulked the gap around the spigot, and put a foam cover over the outside. The zone valves are all new, a device installed to remove air from the system (this was the main problem with the heat when the pipe broke), and insulation around the whole foundation, which keeps more heat in. So I don’t expect problems of this magnitude. However, I noticed last night that there was a lag between turning the thermostat up in the bedroom zone last night, and the heat actually coming on – of an hour or more. So something is wonky again. The zone valve is new, so unless it has a defect it should be ok. Other heat seems to be working fine. I’ll take the thermostat off tonight and touch the wires to check that out. It’s an old thermostat, but a pretty fool-proof one. We’ll see. Not too big a deal, the whole zone was left non-functioning for a long time, since the doors can be opened and the zone heated with the living room zone (it’s not that big an apartment). Not much has demanded my attention around the place this winter. I want to paint our walls and tile the bathroom sometime, but I can let that wait. This heat thing is the first real maintenance issue, and it is very minor. 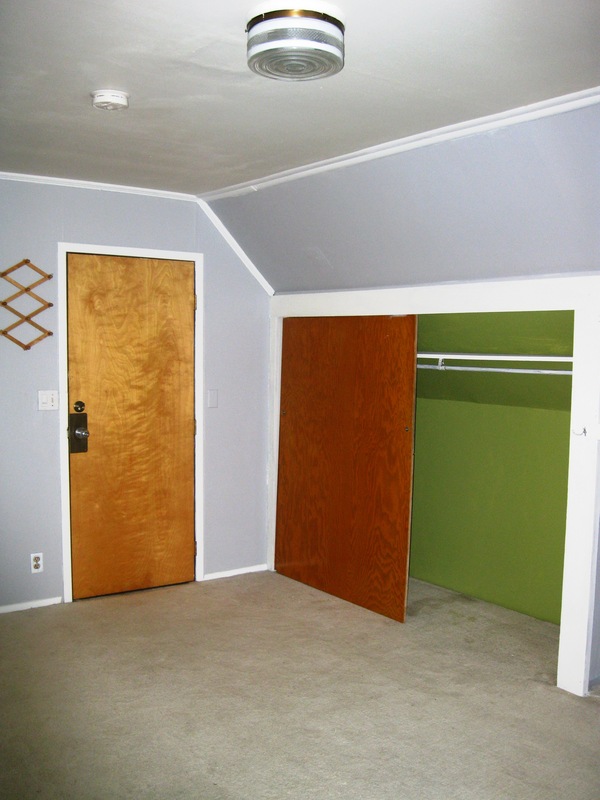 I need to replace an apartment door that is an interior, non-sound resistant door. I’ve shoveled the snow, and I need to clean the entry area good, but things are quiet. Summer will be another story, as it is the last push to make energy efficiency improvements before my 18months runs out on the rebate program. I plan to insulate the outside of the upper walls with blueboard, and re-side the whole place. I can’t afford to hire someone (more than some day labor here and there), so I will figure it out myself. I probably need to save every penny I can between now and then to cover it, but I’m also considering doing some elective things before – if worse comes to worse, I can get a loan to cover the insulation. Those elective things would be a bit of travel and possibly Lasik eye surgery. I have been considering Lasik for about a year, but am getting pretty set on doing it, and soon. I can’t do field work without my glasses fogging up, I am very dysfunctional with my glasses off, and contacts are no longer very comfortable for long periods. It would be nice to be a self-contained package, not dependent on a slightly high-tech material object to survive. Not that it is likely, but if I was ever out in the middle of the wilderness, and my glasses broke horribly or sunk to the bottom of the ocean, I’d be pretty screwed. There is a bit of vanity thrown in there too, I won’t deny – but sometimes I think I look better in glasses, so that’s not the biggest push. Now if just the moose were as nearsighted as I am, maybe my trees would survive, except that they probably smell too good! Mostly this winter, I have been very self indulgent. I have been cranking the thermostat up to 68F (or very occasionally 70F!!!) while home in the evenings. I’m not tolerating cold well right now for some reason – the winter already seems long and dark and chilling and it is not half over. I have been watching a lot of movies (purely for entertainment, no educational value), reading a lot of trash in amongst the worthwhile books (I recently read Twilight until 5am, and I can’t believe I am admitting that – when my own romantic life is in turmoil I am a sucker for the totally unrealistic chick flick or romance novel – in my better times I reread Austen, in my lower I watch Bridget Jones). I have been craving some material objects – shelves for my books, bench/chests for my knitting stuff, a big lcd screen to watch movies on instead of the laptop. I have been driving places a lot (in the work truck for work or as a passenger in others’ cars) – even though I finally got the studded tires on my bike and have discovered that pulling Osh on the trail-a-bike is not too sketchy. I have, very uncharacteristically for me, been paying attention to my appearance – henna on my hair, some slightly more fashionable (if still jeans and t-shirts) clothes, occasionally a bit of natural colored lip gloss or mascara. I think I’m having my mid-life crisis early, or something. I’m wishing that the wrinkles that were developing were happy crows feet instead of squint lines between my eyebrows (at least the lines around my mouth are smile lines!). I’m trying to be easy on myself for these extremely shallow obsessions – I’ve always been grateful that my mind shines and I can ignore physical beauty in general, as a useless decoration – but then maybe there is a time and place to play with appearance as yet another way to lighten up and have fun. If I’m going to paint my apartment’s front door, why not my body now and again? Despite my extreme indulgence this winter (or perhaps because of it and my lack of focus on the external) I have been able to battle a couple of previous indulgences. First is my relationship to food. I have generally had a pretty healthy one. Oh, sure, when I was a highly insecure teenager I tried not to eat the extra 3 pieces of pie, but I was very active and despite my distorted body image, always in good shape. With a more mature outlook and other things to focus on, I became comfortable with my body just about the same instant I began college, and rarely thought again about food except in the realms of healthy, organic, whole, local, and enough. I actually had to eat constantly to not go underweight while I was nursing. Then I began my desk job, weaning was well underway, and unhealthy snacks were constantly available. Even heightening my activity level, my weight remained at the top of my recommended BMI, and I thought I was probably stuck there from now on, unable to not eat the sugary, fatty, processed snacks sitting around. Partly, I thought that it was unhealthy to not eat if you felt hungry. This had always worked before. I figured, if my body told me it needed to eat, it must be right. I was sure I’d collapse if I tried to bike across town if I went more than a few minutes with a grumbly tummy. The few times in my life that I had been hungry for a while out of necessity (that time in Genoa when it was some crazy holy day and nothing but McDonalds was open and we hadn’t bought any food ahead of time…etc) I had gotten light headed, crabby, unable to make decisions. Not something to do on purpose. OK, so top of the recommended BMI was still healthy, no problem. But then I stepped on a scale at the rock gym, and I had officially crossed the healthy line. For the first time in my life. That scared me a bit. I weighed almost as much as I had 9 months pregnant. Not to mention I didn’t like the fact that I ate such garbage at work, and I figured if I ate less, it would be easier and cheaper to eat locally and organically, and lower my ‘footprint’. So I researched, ugh I hate the word, dieting. And I truly realized, for the first time, that to lose weight I was going to have to eat fairly drastically less food, watch calories, and yes, be hungry sometimes, before I could go back to just following my hunger and eating sensibly. Strangely, once I read that, and processed it, the rest was easy. The will power materialized out of nowhere. I was able to accept the hunger because I knew it was in my best interest. I was proud of myself for not eating the garbage (I gave that up and kept eating the planned, healthy portion of my diet). I obsessively logged my food and activities on fitday.com – which fit nicely with my obsessive, tracking, list-making personality. I avoided 1000 calories a day (for going on about 10 weeks now), and successfully shed all those pounds I gained after getting the desk job. Additional bonuses are many: I’ve probably lowered my metabolism more by dieting, so I will always need less food which is good for the planet and my wallet, I’ve been exercising too, and am as strong as I’ve ever been – I’ve been climbing better at the rock gym than I have since before my child was born 7 years ago, hunger doesn’t really bother my mental outlook like it used too, I still get hungry but I don’t really get that craving appetite, so I’ve found it very easy to avoid previously tempting junk foods and eat very deliberately and healthy, etc. Now I’m trying to apply this antidote to unsustainable self indulgence to other things, like being cold. I find that if my finger tips start to feel a bit icy, or my ears, or whatever (even if my core is warm, and I’m in no danger of frost-bite) I act self-protectively to turn up the heat or take a hot shower as soon as I get home or whatever to end all feelings of cold. It is like that aversion I had to hunger, my brain sends out signals that if I am the slightest bit uncomfortable I might die. BS. 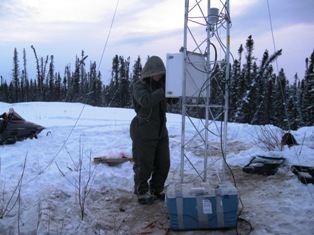 While doing field work in Chistochina the last couple of weeks I reaffirmed that I will not come anywhere near dying if I snuggle up under the covers in a cabin that is just above freezing or spend all day out in -20F putting met towers together, with the metal bolts searing my fingers with cold fire. Heck, I’ve camped out in tents at 0F, and mountaineers and others routinely do much more, so I think I can handle 65F on the thermostat in my house. The trick, it seems, is turning off that unconscious alarm my brain sends out that there is a breach in the comfort-regulation mechanisms and instead assuring myself that the situation is fine and there are many more important things to waste my mental energy on, so put a hat on and shut up already. Some indulgences I may just explore a little bit further though – the occasional unredeaming novel, perhaps a used 32″ lcd screen, definitely some bookshelves. I guess I’m not going to single handedly send the world to hell in a handbasket if I focus a bit on some items of personal physical comfort, any more than I save it by reusing plastic bags.